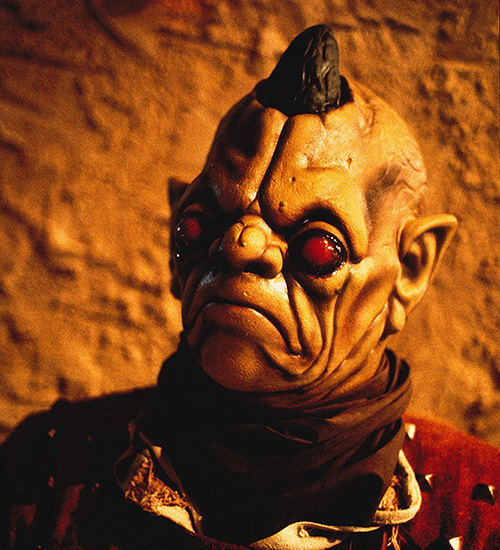 This guy is an Advozse who hangs out in a side booth at Ackmena’s cantina, often sharing the company of the local Tin-Tin Dwarf. There is another Advozse as well who hangs out on the main floor. 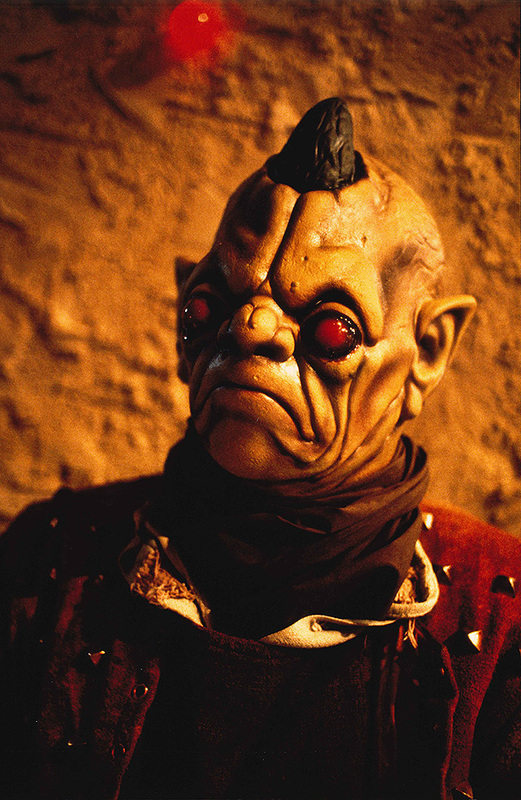 This Advozse is a bit hard to spot in The Star Wars Holiday Special. He sits in a booth most of the time, across from the Tin-Tin Dwarf (the giant rat). This particular character wears clothing very similar to Bom Vimdim in A New Hope, with metal studs all over his vest jacket.